Champion Athletes have been using guided focus imagery for years. 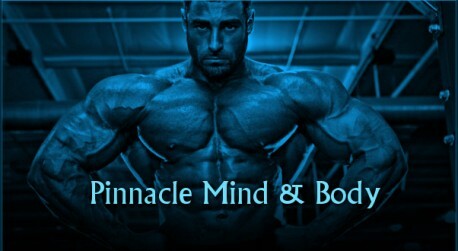 Champion Bodybuilders such as Tom Platz, Kai Green and Markhus Ruhl use these techniques to focus their mind on their training and take their results from mere mortal to super human. Created by superstar instructor and Certified Hypnotherapist, Shaun Royer uses his knowledge of psychology and fitness to give you the same results as his celebrity clients in Los Angeles and Universities around the Country, including Harvard University, Trinity University and The University of Texas. He has used these hypnosis sessions to help create his own incrdible 320lbs physique with 24″ arms that turn heads at every gym he goes to. Unlike other bodybuilding mp3s made by regular hypnotherapists, Mr. Royer understands the insane commitment and total lifestyle change it takes to create a super body. Thes mp3s are only for serious minded athletes who want to take their bodies to the ultimimate level. * Improve performance and skills. * Remove obstacles to wining success. * Focus clearly, sharp and concentrated. * Improve your mental stamina. * Remove hesitations. Take away self doubts. * Create and maintain a very positive state of mind. * Encourage proper training style and perfect form. * Increase appetite for certain muscle growing foods. * Release hormones such as adrenaline and endorphins while you train.